A haunted house built on an ancient burial ground? That’s minor league. How about an entire nation built above an army of human-hating yokai who command a catfish large enough to cause earthquakes? 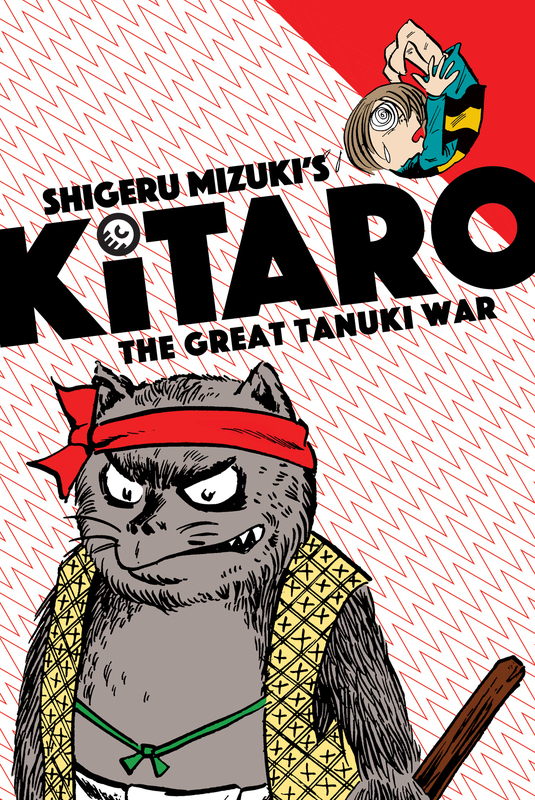 Shigeru Mizuki’s Kitaro and The Great Tanuki War is a manga volume that tells an epic tale pitting the titular character, Kitaro, against an army of tanuki and their powerful yokai allies. There are also a few bonus stories with Kitaro’s usual one-shot adventures. You may already be familiar with Mizuki’s famous character, but if you are not, you can brush up on his origin story featured in the first volume, The Birth of Kitaro, which JQ reviewed last year here. This marks the third volume in the English collection of Kitaro stories published by the fine folks at Drawn and Quarterly. One of our very own JET alums, Zack Davisson (Nara-ken, 2001-04; Osaka-shi, 2004-06), has been doing his part to put Shigeru Mizuki’s timeless work on the map in the English-speaking world. He has served as translator for these Kitaro stories and also for Mizuki’s colossal four-volume manga history of the Showa period. Zack is a yokai expert in his own right and you can find out more about his career and JET experience in our vintage JQ interview with him. As many consumers of Japanese media may already be aware, yokai are strange creatures or phenomena that originate in Japan and have become widely popular globally. Kitaro is a unique yokai who solves mysteries and fights for humans. The conflict between humans and yokai is often an issue of tension for him as he straddles both sides, but this conflict takes center stage in The Great Tanuki War, when an army of tanuki escape from their underground dwelling beneath the island of Shikoku (shout-out to our Shikoku JET alums! ), to wage a war on the human residents of Japan. Whenever you read a Mizuki story, half of the fun is seeing his clever interpretations of various yokai and urban legends. This time there are some familiar faces, tanuki, and two great behemoths to fight. Kitaro is joined by his familiar friends Nezumi Otoko (the smelly and two-faced Rat Man), Itta Momen (literally flying strip of cloth that strangles people; you must see it to believe it), and his father Medama Oyaji (a tiny walking eyeball, you must see it to—oh, wait, we already covered that), and all of them end up embroiled in the conflict and targets for the tanuki as well. Tanuki are among the most popular of yokai, as they are an actual creature native to Japan often likened to raccoons, although they are a completely different animal. Tanuki have shape-changing abilities, which they use to make mischief, but in this story they are not to be trifled with. Using their magical abilities and mastery of ancient knowledge, the tanuki unleash not one, but two massive monsters aiming to end human dominion over the earth. As an artist, Mizuki’s signature style combines comical and exaggerated illustrations with the grotesque, and when he wants to evoke a creepy or somber setting he includes painstakingly rendered backgrounds brimming with dark shadows. These styles all appear in various facets of the war between Kitaro and the tanuki, as we encounter various tanuki with their own amusing or disturbing idiosyncrasies as well as monstrous combinations of yokai and kaiju that any Godzilla fan won’t want to miss. 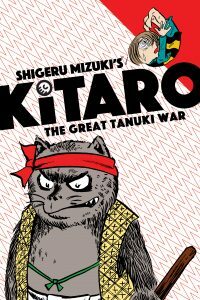 The Great Tanuki War stands apart from the other Kitaro volumes because in this adventure, the stakes are higher than anything you’ve ever seen. Once Mizuki’s tale is firing on all cylinders you will find the entire nation of Japan in danger, Kitaro on the ropes in ways only a semi-immortal yokai can be, and an overall eclipse of the age of humanity. With that said, another of Mizuki’s talents is balancing violence and grotesque to a degree that the book remains tasteful, so this is a great book for young readers. 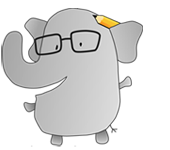 Of course, the young at heart will find much to love as well, especially for those who have an interest in creatures that are wacky and mysterious. So, run out and get you copy today, before the tanuki take over! For more on Kitaro and the Great Tanuki War, click here.